MATI Energy is found across the southern U.S. in Whole Foods, Costco, and Kroger stores. It also happens to be one of the nations fastest growing energy drinks. And the best thing... it's all natural with quality nutrients. 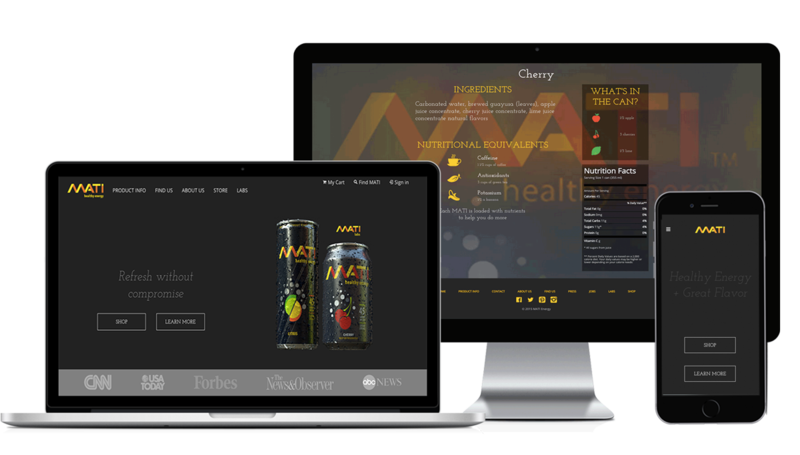 Mati needed a website that represented their rapidly scaling brand while highlighting what makes it a better alternative to energy than Red Bull. We had a chance to take creative lead and rewrite and redesign their old site and then finally build it out into something that is consistent with the current state of the brand. It has been a huge success. Brim is a 21st century communication, collaboration, and productivity platform. It rolls up the ability to chat and collaborate with the ability to create, edit, and share documents. Not to mention video calls, memes, spreadsheets, and a ton of other under-the-hood goodies. 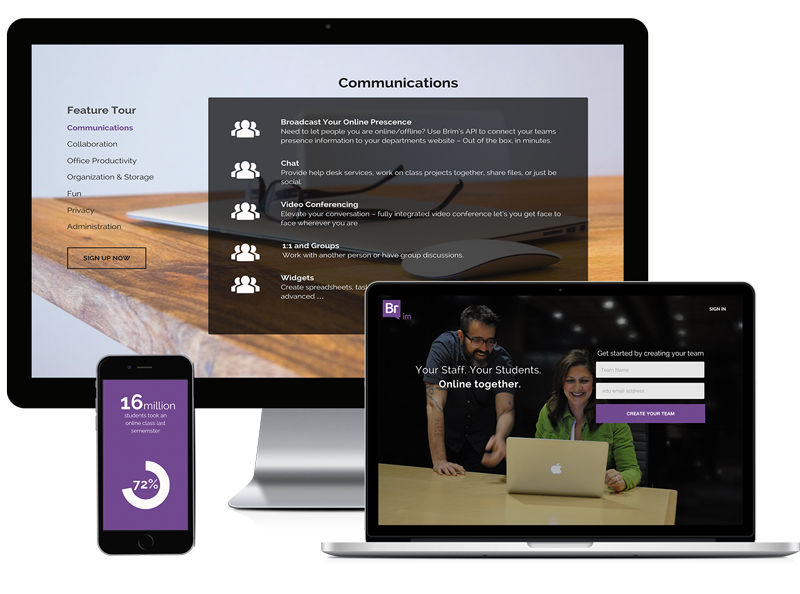 When Brim redesigned their UI they needed an upgraded marketing site to reflect their new upgraded user experience. 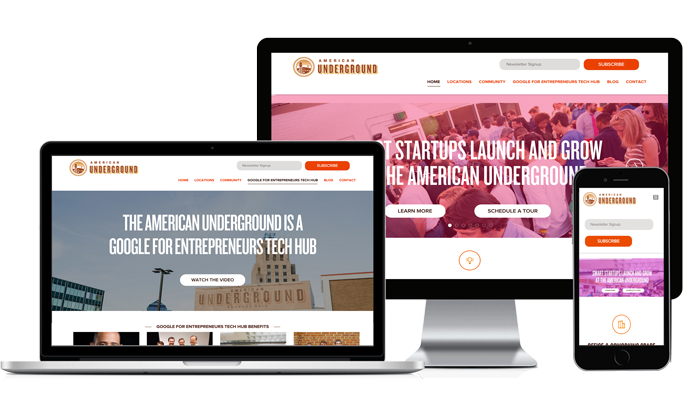 The American Underground is a Google for Entrepreneurs Tech Hub which opened in Durham, North Carolina in 2010 in the midst of Durham's latest rejuvenation. It has now expanded into three locations and is home to more than 150 startups in one of the most tech focused areas of the country. It also happens to be the place where we do much of our work. We have been involved in the growth of the site since its inception in 2013. Betti is online gambling for charity. Think about it like this... make a bet with a friend, a bet on anything. 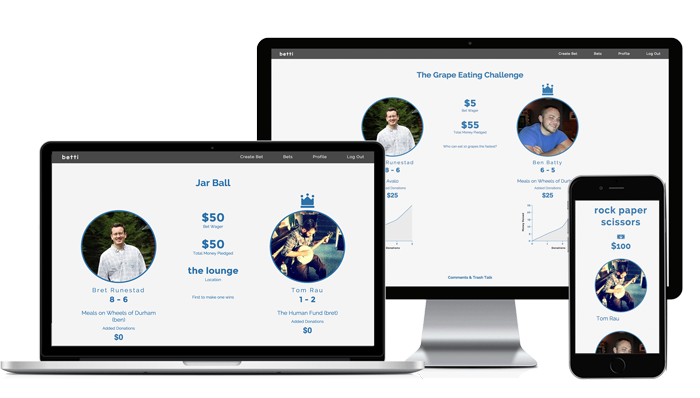 Each player chooses a non-profit and the loser's money is automatically sent via stripe to the organization of the winner's choosing. This puppy was built with python/flask and an angular front-end. Tom did all of beautiful angularjs, as well as the design. Betti was built in two and half hectic weeks. She is a work in progress.